Eeeek! 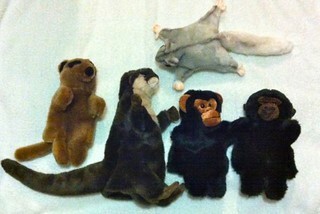 More puppets – enough, enough? 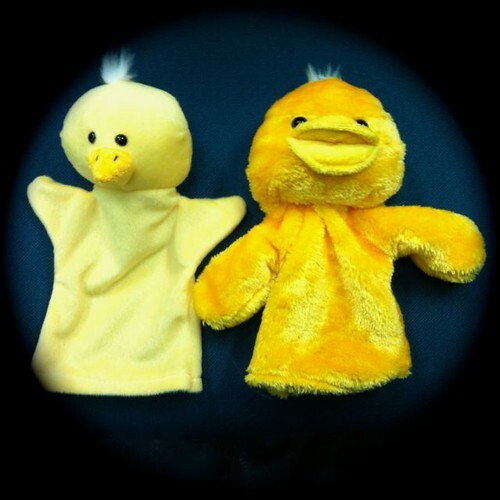 The chick puppet (above left) was probably originally a duckling, too, but when I found a different duckling (right) a few months later, I sewed the beak of the first one into a point. 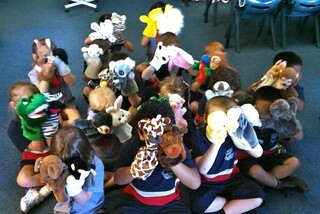 An assortment of puppets from Taronga Park Zoo’s souvenir shop. 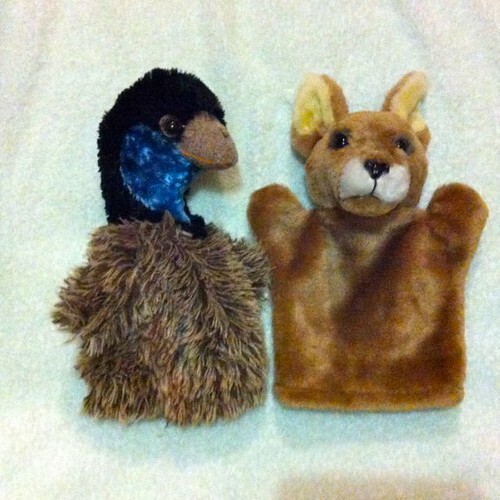 Emu and kangaroo puppets: Australia’s coat of arms! 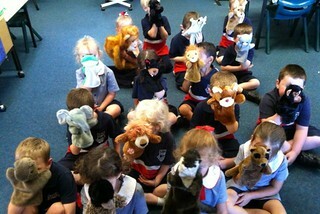 Students at school helped to display the (now-huge) puppet collection! 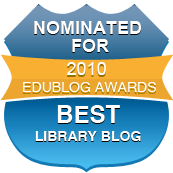 Now we just need to complete that puppet theatre.